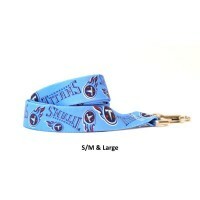 Let your pet show some team spirit in this stylish adjustable Tennessee Titans Argyle Pet Collar by Yellow Dog Design! 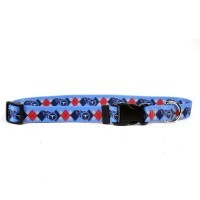 This collar is made with full-color argyle styled graphics based on the team logo set on color-fast polyester, and features a secure D-ring for leash attachment, and a sturdy plastic locking clasp makes it easy to get on and off. 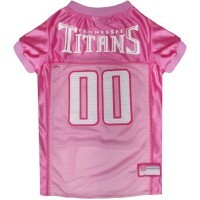 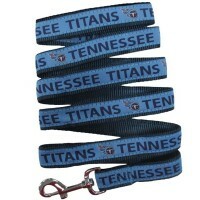 Keep your pet under control and support your team spirit with this Tennessee Titans Pet Leash! 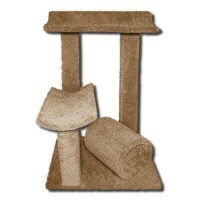 It&#0.. 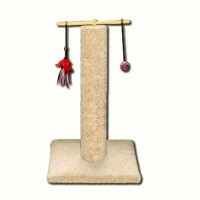 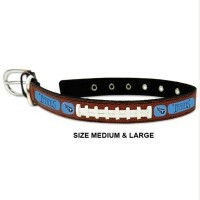 Your pet will be strutting in style with this Tennessee Titans leather football pet collar from Game.. 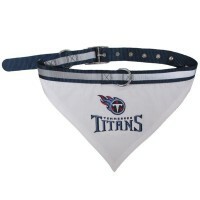 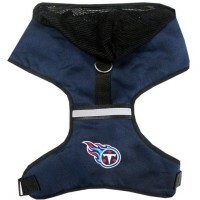 Your sports fan dog will proudly wear this Tennessee Titans dog collar bandana. 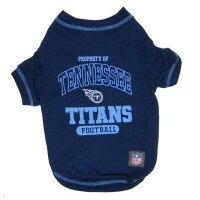 Full-color team are ..